At the Tokyo Game Show last month, Japanese website 4Gamer was able to interview Level-5 CEO. Hino spoke about the company’s upcoming Switch games, Yo-kai Watch 4 and Inazuma Eleven Ares. Given what was said, it makes sense that both were delayed this past week – Yo-kai Watch 4 to Spring 2019 and Inazuma Eleven Ares to this winter. Aside from those two titles, Hino weighed in on a couple of other topics as well. These include finally returning to TGS and brief talk about the company’s 20th anniversary title. Did Level-5’s CEO tease Inazuma Eleven Ares for Switch? 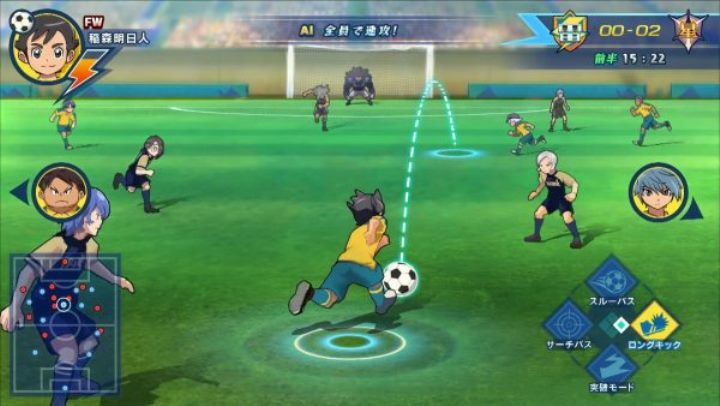 Inazuma Eleven Ares was announced during the Level-5 Vision event last year. Since then, we haven’t seen too much of the project. Level-5 has been hosting semi-regular Inazuma Walker live streams, but we really haven’t seen much, especially when it comes to the upcoming game. Level-5 did host another live stream earlier today. The big news is that the anime has been pushed back to Spring 2018. Originally, it was planned for this summer before being officially announced for October. Level-5 CEO Akihiro Hino also briefly talked about the Inazuma Eleven Ares game towards the end of the stream. In an exchange with the show’s MC, Hino seemed to hint that it will be on the Switch. A new interview has appeared with Level-5’s CEO. Glixel recently spoke with the company’s Akihiro Hino. 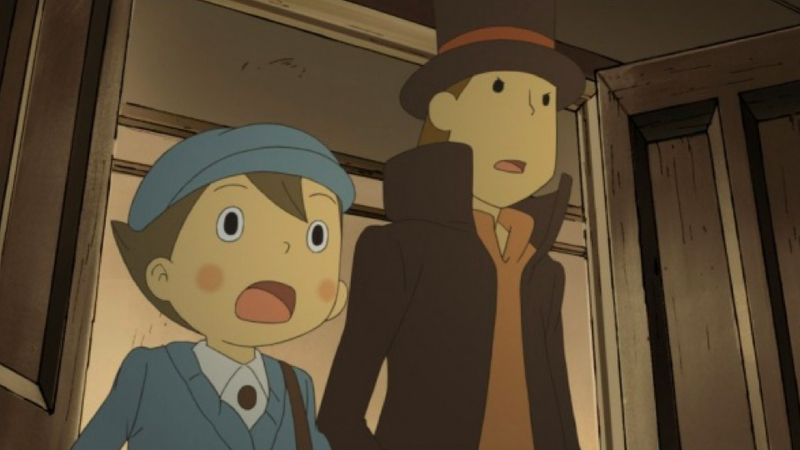 Hino had plenty to say about the Layton series, including its success in the west, continued popularity today, and how it came to be in the first place. He also commented on other topics as well. These include how Level-5 is different from other developers and how it has changed as a company, and more. You can read up on notable excerpts from the interview below. Head on over here for the full interview. Nintendo Life published a new interview with Level-5 CEO Akihiro Hino. Hino had much to say about Layton’s Mystery Journey, including how he wants to make “Mystery Journey” a new series, supporting Switch in the future, and a possible new movie. We’ve rounded up some of the more interesting comments from Hino below. You can read the full interview here. How has work gone with the Nintendo kingdom recently, and are you excited about making games for the Switch? Well, let’s just say the Nintendo kingdom, in recent years, has really sprung back with the Nintendo Switch, so I think it’s time to increase our foreign trade development department with the Nintendo kingdom. We also heard from Hino a few days ago. 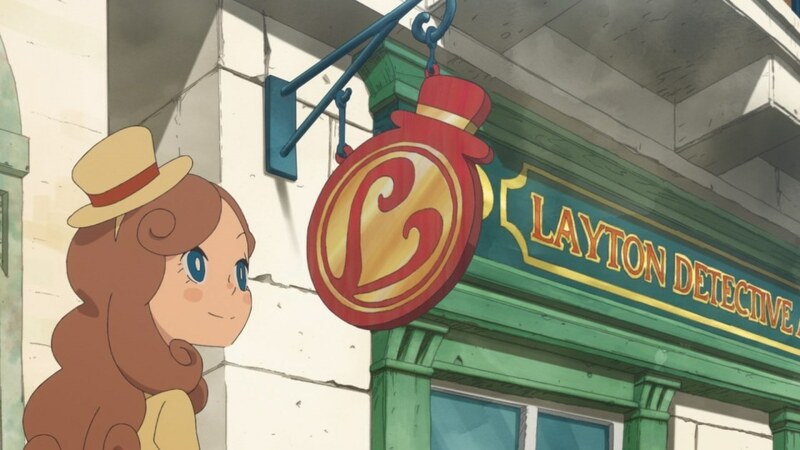 In an interview with Eurogamer, he mentioned that Level-5 is trying to see if the Layton series could work on Switch, but the lack of a touchscreen when the system is docked is bringing about some challenges. This week, Nikkei published a new interview with Level-5 CEO Akihiro Hino. It included talk pertaining to topics such as The Snack World and Inazuma Eleven, but also the state of the Yo-kai Watch franchise. 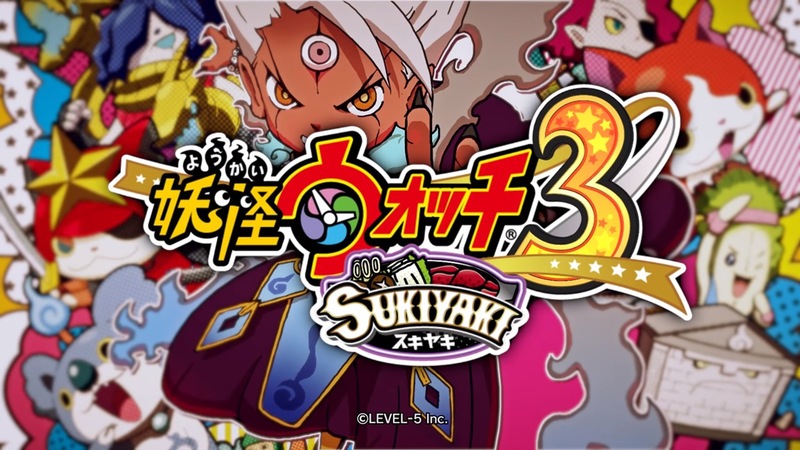 Nikkei pointed out that Yo-kai Watch 3 has sold over two million sales across three entries – Sushi, Tempura, and Sukiyaki. Hino noted that he can’t deny it has fallen much compared to the times of Yo-kai Watch 2, which launched in Japan three years ago. Sales of related products are also accompanying it – think toys, etc. 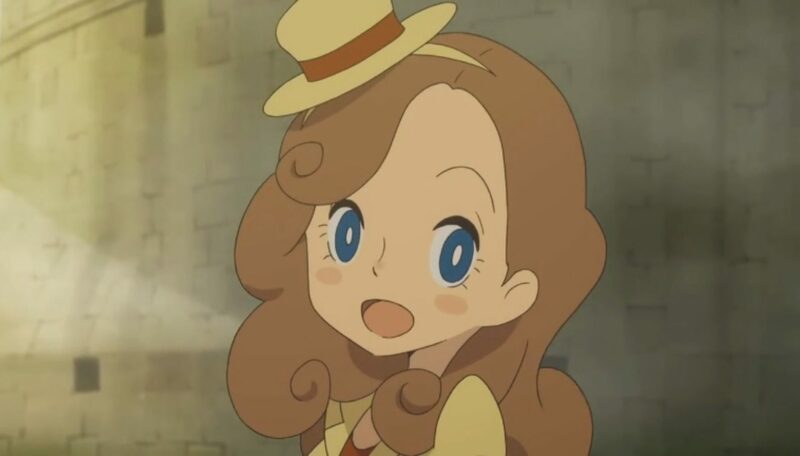 Even though Lady Layton was announced last July, we haven’t heard much about it since then. Famitsu catches up with Level-5 CEO Akihiro Hino for an update of sorts this week. Famitsu starts off by asking what parts are new compared to past entries. 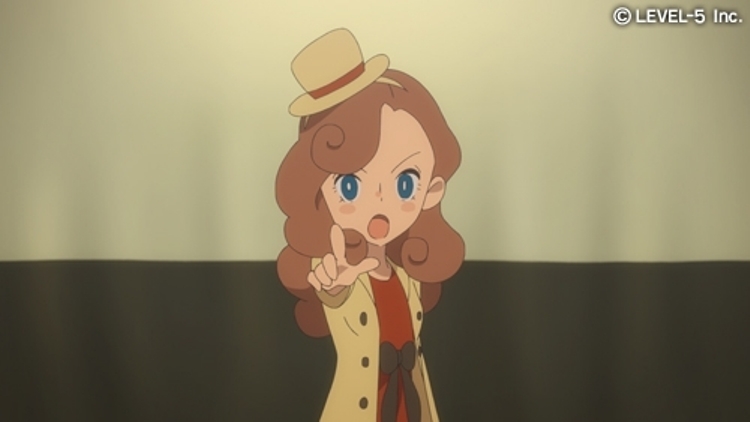 Hino points out that the protagonist has changed from Professor Layton to his daughter, Katrielle. Because of that, this game will have a female touch while keeping the series’ atmosphere intact. Hino hope the game will show a brand new side of the franchise. 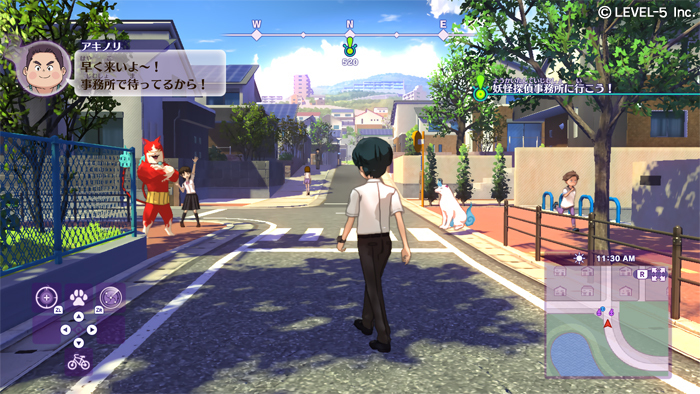 Level-5 has been a staunch supporter of Nintendo platforms for many years. This will continue with Switch, as the company is already confirmed to be on board. Just don’t expect any titles immediately. 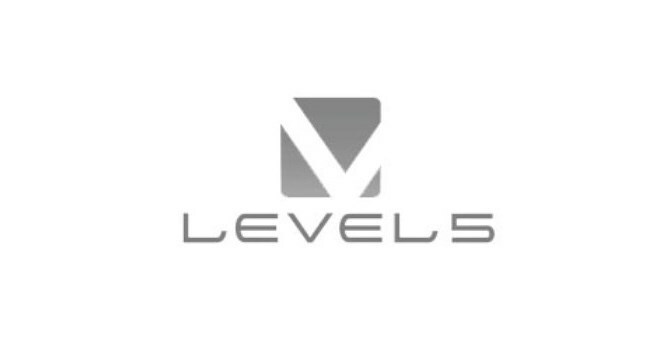 Level-5 is working on several projects, including Lady Layton, The Snack World, Inazuma Eleven Ares, and Megaton Musashi. Some of these are planned for 3DS, and a couple may end up on Switch as well. Megaton Musashi probably won’t be ready until 2018, so it might make more sense to create it for Switch rather than 3DS. National StreetPass Weekend: Yo-kai Watch Edition is currently underway in North America. To celebrate, a new Mii is going out to 3DS owners. 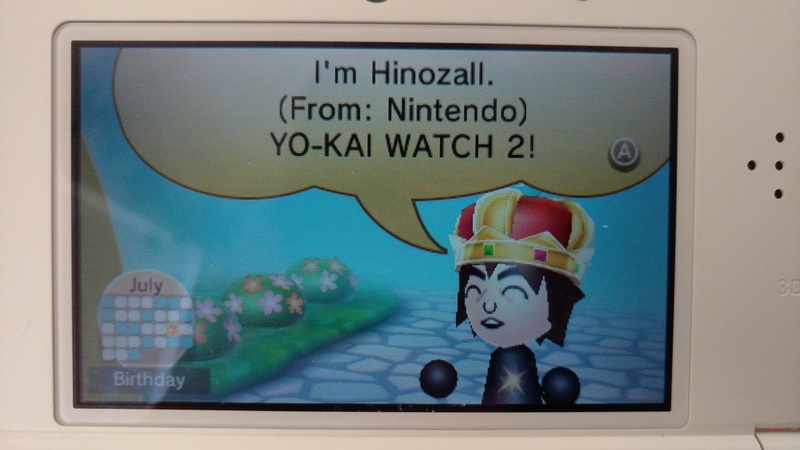 If you have SpotPass enabled, you should be seeing Akihiro Hino’s Mii showing up shortly. Hino is the CEO of Level-5 and the creator of Yo-kai Watch. Thanks to Jason K and Anthony for the tip.